A couple of weeks ago I tried to use my blender and it did not work. My first thought it was, I need to get a new one. It could be a small problem easy to fix. However, as the majority of the world population, I don’t know how to fix a blender (or any electronic product) so i have to find someone to do that for me. Normally the cost to fix a blender is similar to buy a new one. Ok, I know, I am being cheap and that is not environmental friendly but I am not in that eco-level yet. It is a working in progress. However, to feel “less guilty” about the situation i thought, is the blender recyclable? Should i throw it in the regular garbage? I am trying to reduce the amount of garbage that i generate and the amount of garbage that I throw in the regular garbage (which goes to the landfills). 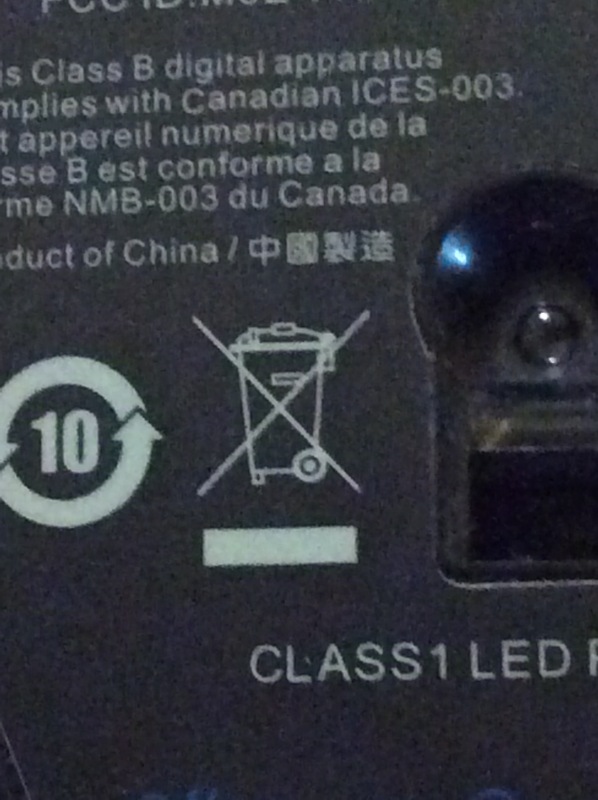 First, it is obvious that the blender should not go to the regular garbage. Why? Because all those products have a label saying so. Why? These products are made of different materials, and some of them are harmful to the environment. It can pollute water, food and cause diseases in animals and humans. Second, where should i dispose the blender? In my recyclable bin? No. But where? I searched a bit in the Internet. I found some places where it is possible to dispose some electronic equipments, but unfortunately it was not for kitchen appliances but for computers, remote controls, tv, etc. I searched a little bit more and then I finally discovered that in the city where I live there is a program where in certain locations it is possible to dispose the blender. In the end I did the right thing and my old blender went to the right place. I used one of the neighbourhood programs to collect electronics. I live in a building with around 20 suites, and it is not hard to find electronics inside our normal garbage can. Why? Do the people know about the recyclable program? Are they lazy ? All these products have a label showing they should not go to regular garbage. Well, I didn’t know about the program until I started to look for the right place to throw my old blender. Surprisingly, here in my city an environmental fee is charged every time an electronic product is sold to support the program. What are the consequences of not dispose this kind of garbage in a proper way? An example (which only scratches the surface) is this documentary about the plastic pollution in the ocean called “Plastic Paradise: The Great Pacific Garbage Patch”. Most of these products are made of plastic with a combination of poison metals. Most of the plastic that has ever been created since the 19th century is still somewhere on our planet. So if it never goes away, where does it go? And If they are threw into the sea? Thousands of miles away from civilization, Midway Atoll is in one of the most remote places on earth. And yet its become ground zero for The Great Pacific Garbage Patch, accumulating plastics from three distant continents. Once I heard an old tale about a huge forest fire. All the animals of the forest were running away from the fire except for a little bird. The bird was diving into a lake close to the forest trying to hold as much water as possible and coming back in the direction of the fire. When he was flying above the fire he flapped its wings to release all the water he was holding, which it was normally a few drops. When an elephant saw the bird he asked: “Are you stupid? You know you will never end that fire”. The bird answered: “I am doing my part, if all the animals do the same we can fight the fire and save whatever we can of our forest”. Sometimes I think, destroy a little less doesn’t protect anything. There are billions of people in this word. Millions of them are throwing garbage in the wrong place (including some of my neighbours) but I am trying to do my part and I know I am not the only one. Next step… Where should my old bass strings go? Would you like to know more and help? Does ‘Being Green’ Mean ‘Saving Money’? Well, Not always…. Where did you end up recycling your old blender? I know the province in BC has a huge recycling program for electronic items only (electro-recycle). Unfortunately, I’m having problems finding a similar program in my province for my old blender. *the province of BC, in Canada. Hi thanks for your message. I kept at home until they ran one of the electronic drop off in my neighbourhood. They do that every six month I think. Also You can check some retail stores like London drugs. They collect some home appliances. H&M does a similar job for used/old clothes.